Hello! 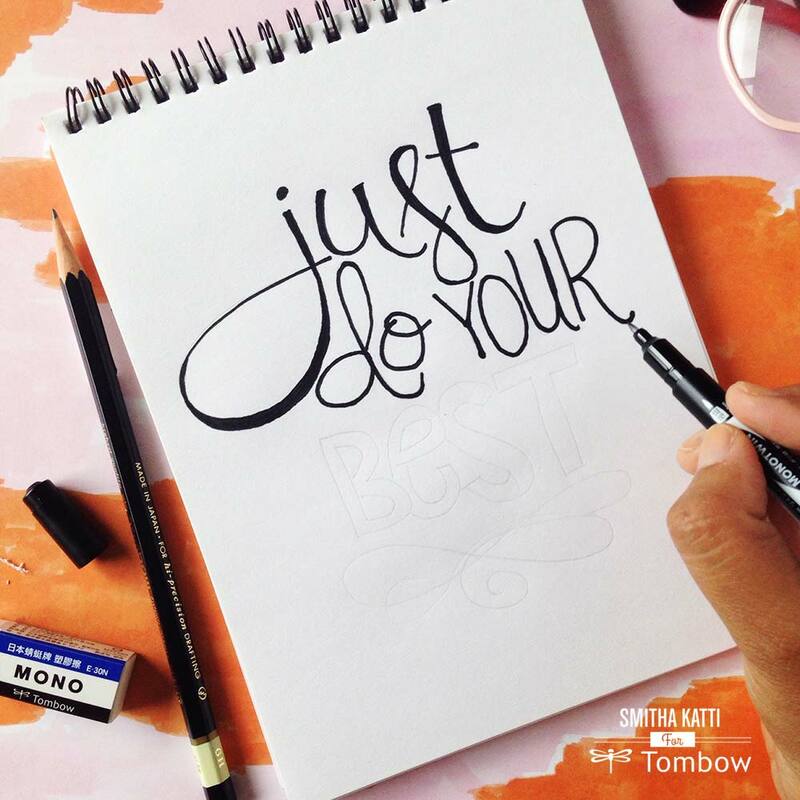 I’m Smitha and today I am breaking open the New Beginners Lettering Set by Tombow and I will show you a few different ways you can start lettering today. The sets just released a few days ago, but SOLD OUT really quick! No worries, you can still get the promotional discount by adding your name to the waiting list. Sign up here to get the Beginner Lettering Set and here for the Advanced Lettering Set. 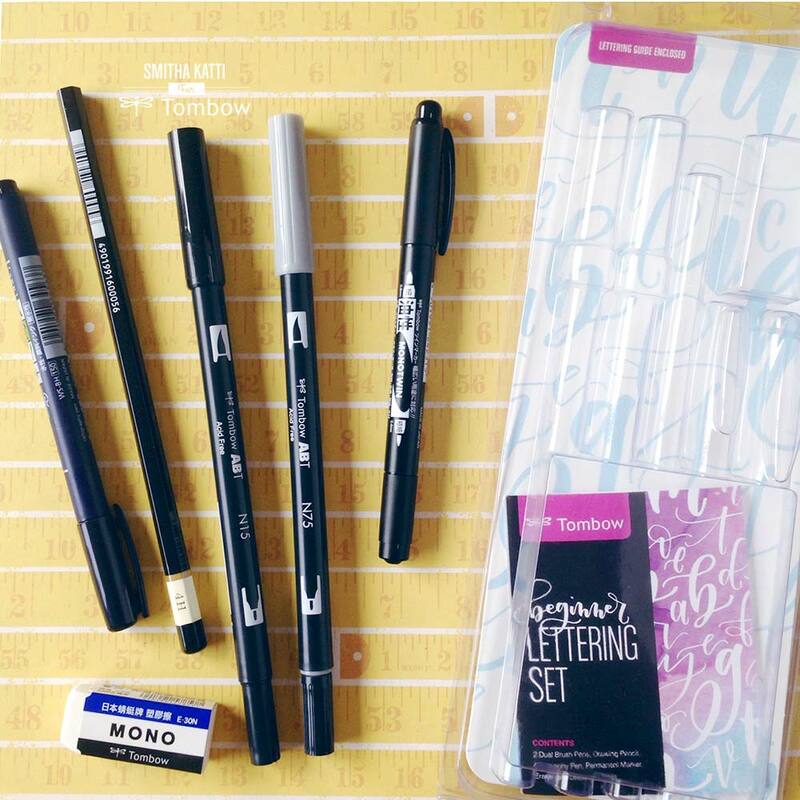 Each Beginner set comes with 2 Dual Brush Pens, Drawing Pencil, Calligraphy Pen, Permanent Marker, eraser and a lettering guide. 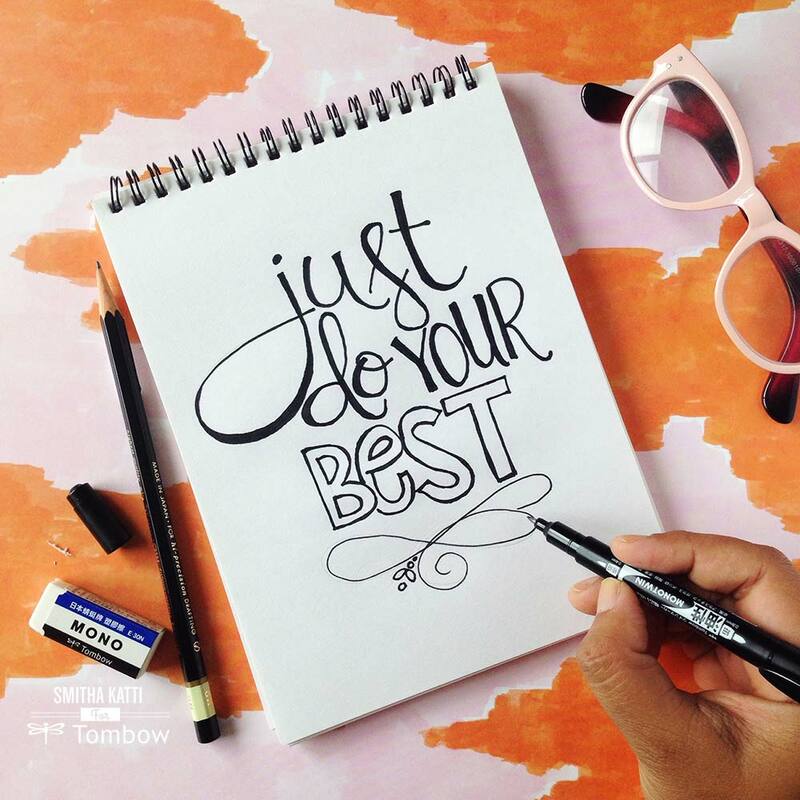 The perfect set of tools to get you started on your lettering journey! The Mono Twin Permanent Marker that comes in the set is a great pen to do Faux calligraphy. First doodle your words in using the Mono Drawing pencil 4H. 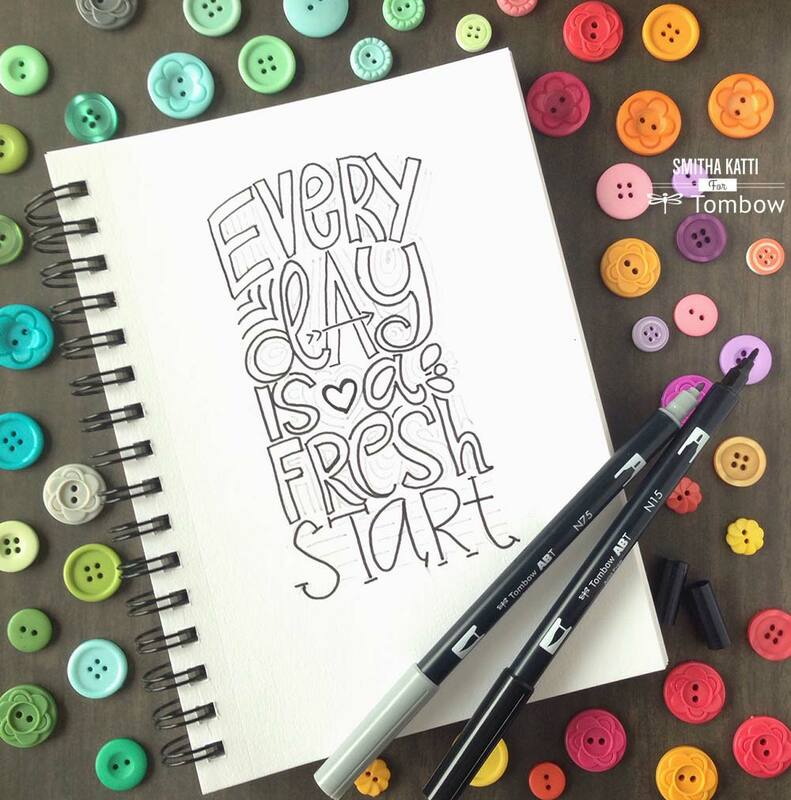 By using a pencil, you can erase and redraw your letters till they look just right. I particularly love to use pencils to draw my swooshes because those don’t come really easy to me. If you are just beginning to learn calligraphy strokes the Fudenosuke Brush Pen, Hard tip is an amazing pen to start with! This pen makes it easy to get those thick downstroke lines and those coveted thin upstrokes. Once you feel comfortable with your basic calligraphy strokes with the Fudenosuke pen, using the Tombow Dual Brush pen will be so much easier! 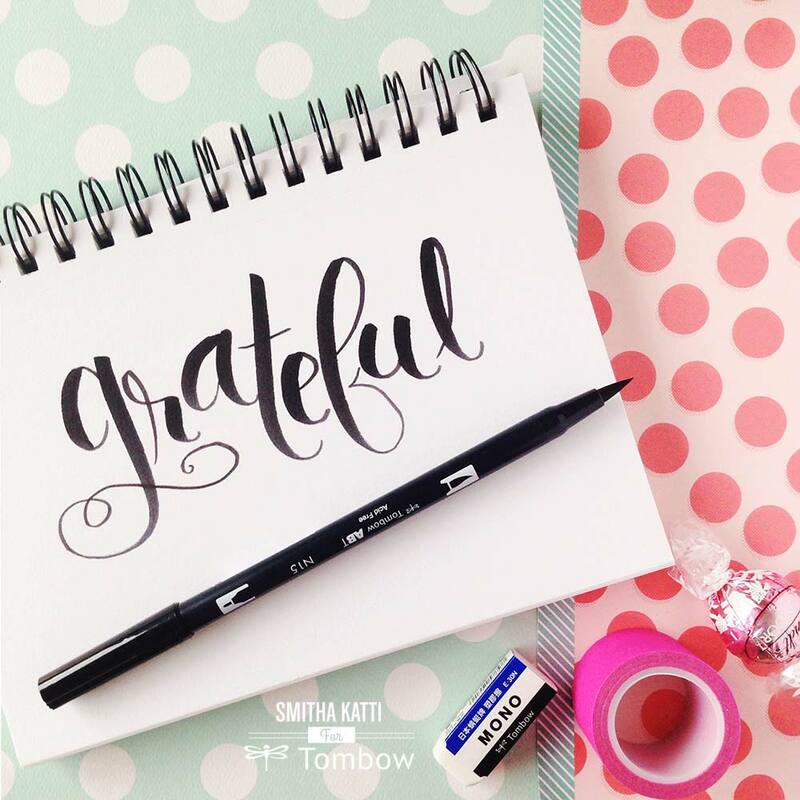 With the Tombow Dual Brush pen, you can draw the most dramatic downstrokes by pressing the tip down hard. After some (or lots and lots of) practicing, your hand will learn how much pressure to apply to get the right downstrokes and upstrokes. With lettering, the more you practice the easier it gets. So don’t compare yourself to someone who is an advanced letterer- I promise you, they started with wobbly letters themselves as a beginner. And while the brush tip of the Tombow Dual Brush pens are perfect for brush calligraphy, I also love to use just the marker tips to do doodle simple fonts. The gray marker is so much fun to use while adding more details, shading or depth to your lettering. To grab your own Lettering Set, make sure you join the waitlist & still receive the promotional discount of 30% —> Join the Advanced Lettering Set Waitlist! 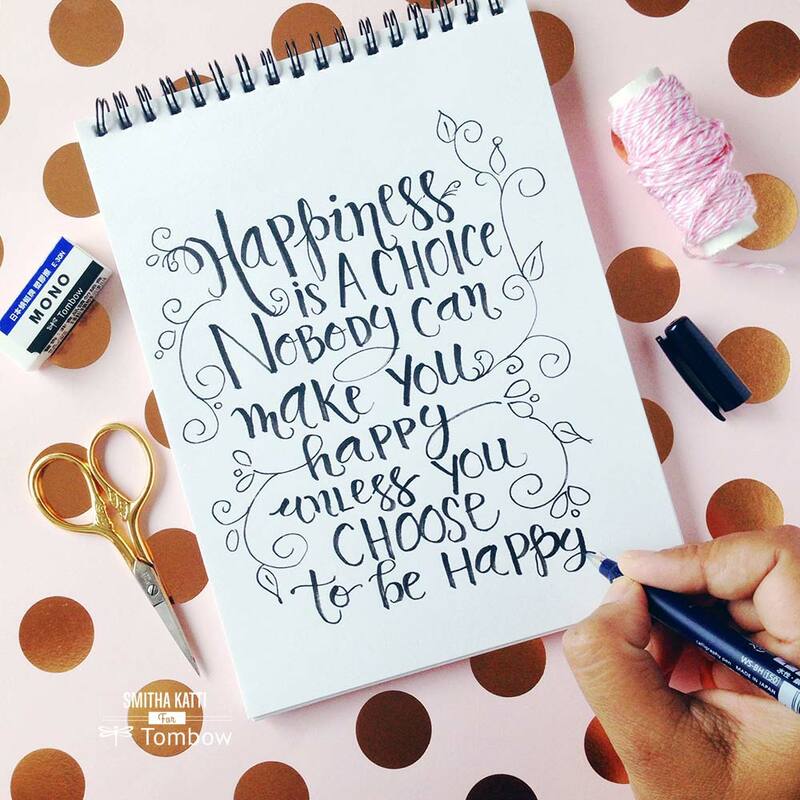 or Join the beginner Lettering Set Waitlist! I have both sets but want to know what kind of paper do you recommend? Playstation 3 as well as the Nintendo Wii, can all be harnessed for media extenders rather or other. may even only be put on to televisions with specific criteria. 64 video channels), supports alarm outputs and PTZ-cameras operation control. objective of teaching the kids the basics laptop or computer science then they happen to be more than successful into their venture. – Player – Demand Five. to upload video to express with friends and family and family.